Home is a platform that aims to re-establish the intergenerational connection within families. 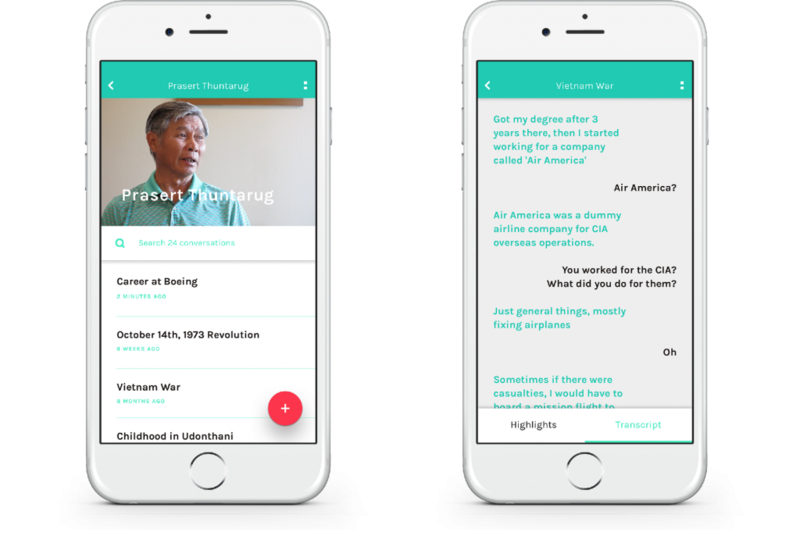 It helps the younger generation find conversation topics to break the ice with their elders, and in the process, rediscover their own roots. 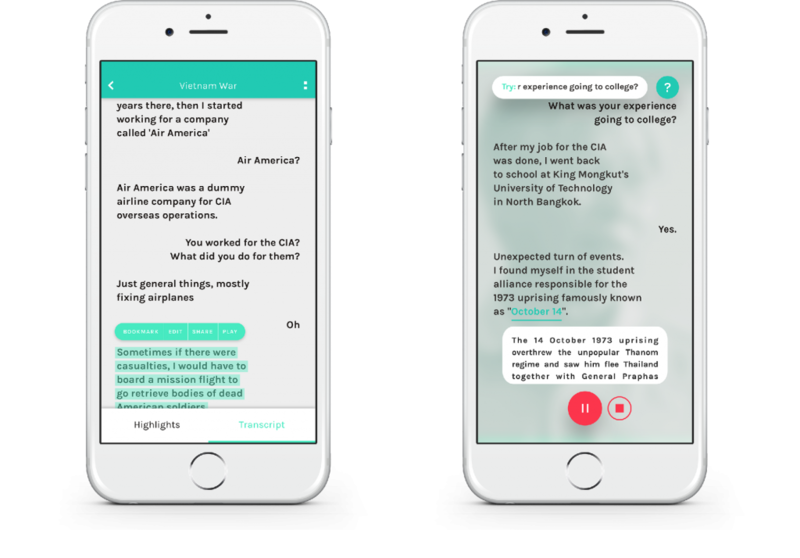 Home suggests conversation topics specific to your subject’s personal history and transcribes your conversations to text for easy later reference. 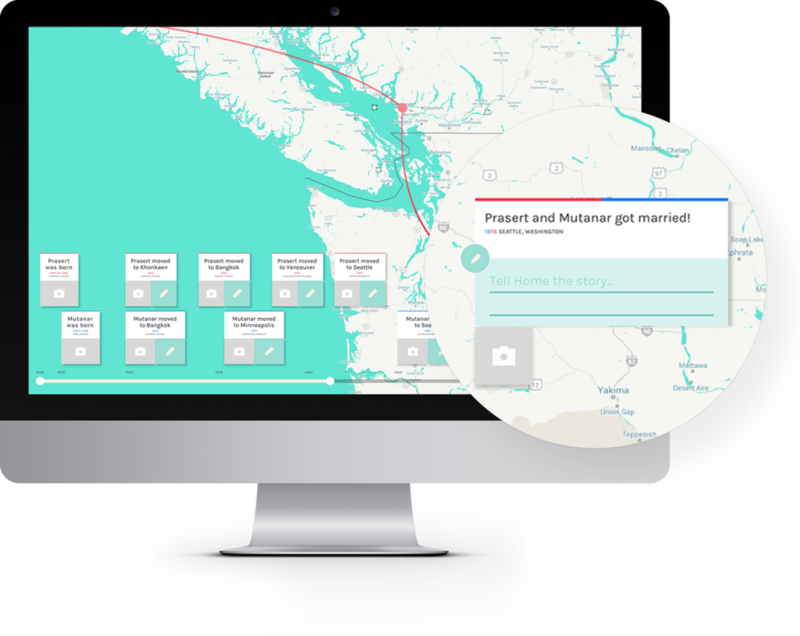 With its companion interactive map tool that visualizes your family’s journey through time and space, discovering and documenting your family’s history have never been easier.